RP47201 is rated 3.8 out of 5 by 5. Rated 1 out of 5 by LarryK from Keeps failing I have bought three replacements, excluding the original, over the past 3+ years. Once again the shower is pulsing, meaning the cartridge is malfunctioning. I can't figure out why it only lasts for about one year at a time. I need something that works. Not just something that looks pretty. We paid a lot of money on this product and it does not meet its expectation for performance. We bought this from a speciality supplier, not a box-store, and had it professionally installed as part of our bathroom remodel. EXTREMELY DISAPPOINTED. Rated 5 out of 5 by Tony1 from Great customer service. Helped me on the install too. Great customer service. Helped me on the install too. Rated 5 out of 5 by pmash from I bought this a month ago and so happy i did!!!!!! Can I put the RP47201 Thermostatic Valve in a Victorian Shower Trim handle, as a replacement for the Dual-Function Monitor&reg; Pressure-Balanced Valve Cartridge? Do I have to replace the trim as well? How do you get the old cartridge (RP47201) out of the sleeve after the bonnet is removed? Thank you for your question. Delta Faucet model # RP47201 should pull out after the bonnet is removed. It is possible that it is stuck in the valve due to mineral deposits. We recommeend using a 50/50 solution of white vinegar and water to dissolve the mineral deposits. I understand that replacement parts are free of charge. Is this still true? 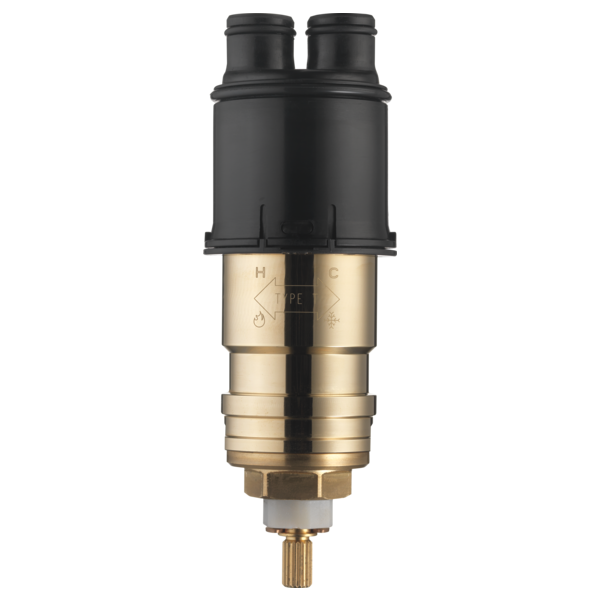 What is the flow rate of this Cartridge with the Delta R10000-UNBXHF? Also, is there a way to use this cartridge with the T17259-BL? Can I replace a dual-function pressure-balanced cartridge with this one? I currently have the Multichoice valve and the T17430 trim set, but was wanting to change to thermostatic cartridge. Can I just swap the cartridges, or do I need to get a different trim set? Does this cartridge have back flow protection to prevent hot and cold water cross over? Hi, I'd like an all metal trim kit to match this valve.